Belfast International Airport (BFS) is graced with three official car parks, all of which are open 24 hours and provide excellent security, meaning that passengers who prefer to drive to the airport should have no trouble finding a space and feel confident that their car will be safe while they are away. It is possible to book parking spaces in advanced and there are plenty of parking spaces available for disabled passengers to use. located near the airport's terminal building, the short-stay car park is ideal for those who want to pick up or drop off friends or relatives at the airport. Parking is free for the first 15 minutes, with hourly rates applicable afterwards. this facility is available for those who wish to leave their car at the airport for four days or more, making it ideal for holiday makers who want the convenience of having their car waiting for them when they return. There is a cheap daily rate available for those who use the car park for more than five days. there are a good number of specially designated car parking spaces provided in all three of Belfast International Airport's car parks. Strategically places ramps have been provided for easy wheelchair access and there are airport porters available to provide aid and assistance if required. at Belfast International Airport is an excellent option as the area around the airport is supplied by a first-rate road network which connects Northern Ireland's towns and cities, making travel smooth and simple. 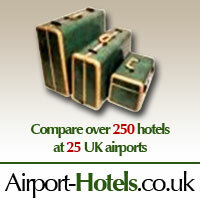 No less than five major car hire companies can be found at Belfast International Airport; namely Avis Auto Rental, Hertz, Budget Rent-A-Car, Europcar Rent-A-Car and National Rent-A-Car. 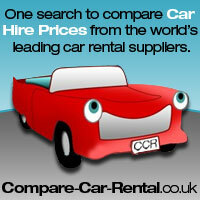 Car rental can be booked in advance or upon arrival at the airport.